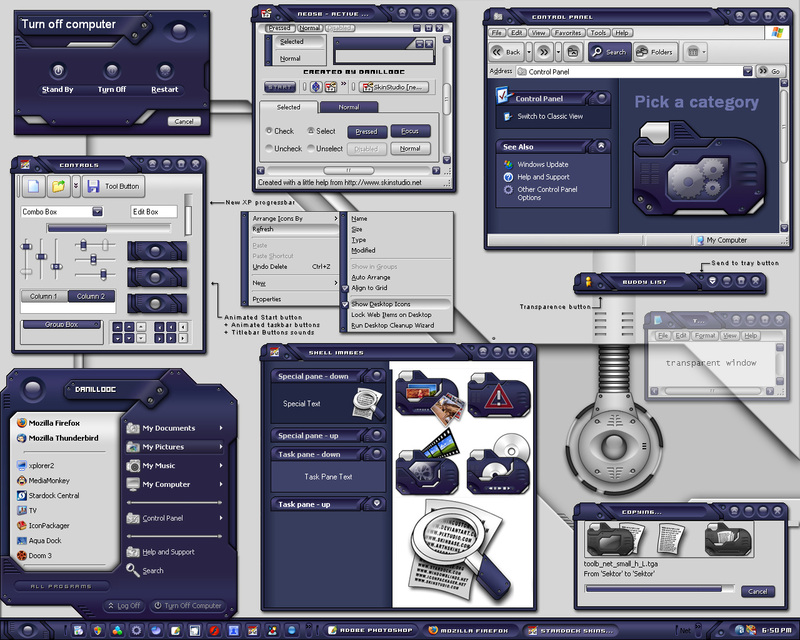 Blue version of neOS for Windowblinds. * There's 4 sub-styles, normal, non english Windows, for double taskbar size and for non english double size taskbar. There aren't good enough words to say so I will just say, thank you. danillo0c, Great colour here....have to echo NightTrain2002...one whale of a design - this is why I'm renewing my subscription to WC! Thx so much! Fantastic skin. Looking forward to using this one for sure! DWatson-what do you mean you cannot download? Just to make sure the problem is clear. I just downloaded the .zip file to my desktop, opend the Windowblinds config box and clicked on "Install from disk". Clicked on the .zip and the skin installed flawlessly. ~ Simply awesome!! I'm so glad you decided to make a blue version. The original neOS was great but the only reason I never used it was the colors weren't for me. Now that there's a blue version(not just colorized by SkinStudio), I'll definitely be using it. ~ Thanks for improving on an already fantastic design. now i have a choice of colors, simply outstanding. Sorry about the complaint, but my computer is really lazy, It's set to aunto install skins. ..... can't ....stop ...drooling. ...must ....download ....now! !